Scottish NewLaw pioneer, Brian Inkster comprehensively reviews Remaking Law Firms – Why & How in his first post on Dialogue. I am always delighted when a thorough review throws up challenges to our book, providing cause for fresh thinking – and perhaps pointing to a second edition. They suggest work is won by NewLaw firms through promotion of a corporate brand rather than through personal promotion. Not sure why this should be the case. Many successful corporate brands promote themselves from a personal as well as a corporate perspective e.g. Richard Branson at Virgin or the late Steve Jobs at Apple. Okay, I accept that is perhaps not what the authors had in mind but still worth them considering in a NewLaw model based on benevolent dictatorship. Furthermore, NewLaw models that for example revolve around self-employed consultants must, by necessity, have those consultants promoting their and their firm’s brand just as much as the corporate entity itself will do. The book misleadingly suggests that “the United Kingdom… have allowed non-lawyer ownership of law firms… for a number of years”. This is indeed the case in England & Wales, but not that other part of the United Kingdom where I live and practice law: namely Scotland. I will forgive the authors for this as it is an easy mistake to make in the same way as some people like to think Andy Murray is English (Apologies Brian, only three of my grandparents were born in Scotland, so it must my pesky Dutch blood that let this one slip through!). In Scotland whilst we have an Act of the Scottish Parliament that will allow non-lawyer ownership of law firms (but, unlike in England, not more than 49% ownership) that Act has not yet been fully brought into force to allow it to actually happen. When that may happen seems constantly unclear. Despite ABS not yet being a reality in Scotland law firms can, like their English & Welsh counterparts, incorporate. But I imagine that the statistics given in the book for incorporated law firms in the UK exclude those in Scotland. This is because the figures in question were supplied by the SRA who regulate solicitors in England & Wales but not in Scotland where that task falls to the Law Society of Scotland. The authors are of the view that “firms that are trying to adapt need to make significant changes in their business model”. What is not explored is that even where ABS is not yet allowed, law firms can still be inventive in shaping different models in a non-ABS context. That doesn’t have to necessarily involve outside ownership/investment or incorporation. The effect on law firms of large corporations significantly reducing the size of their panels is discussed. In some cases to just one. However, the potential of small boutiques with a clear niche to be included on the panel of large corporations is highlighted in a comment by Mike Roster (Co-Chair of the Steering Committee of the ACC Value Challenge). 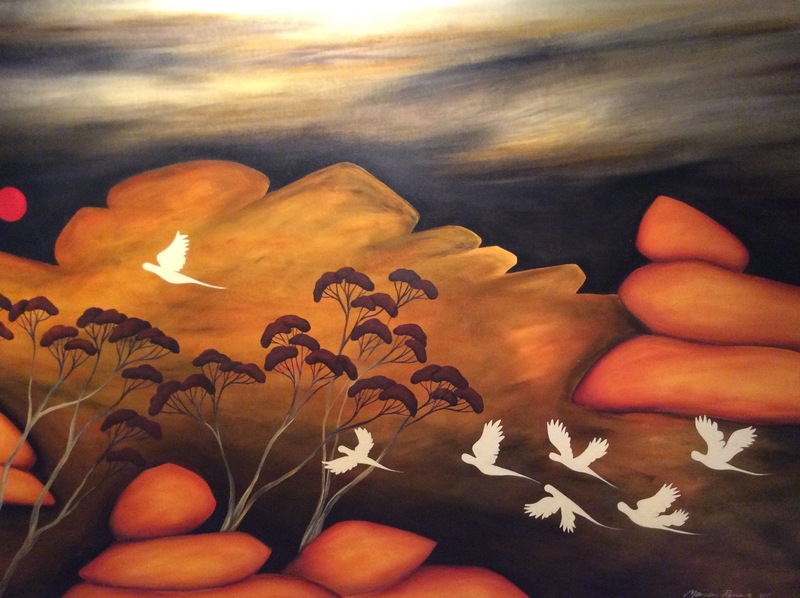 John Flood foresaw the rise of the law firm boutiques back in 2010: The Rise of Boutiques? ‘Remaking Law Firms – Why & How’ looks forward to what the legal landscape will look like in 2025. However, the scenario analysis used “focuses solely on corporate and commercial law firms”. The authors speculate that with “complex and heterogeneous groups of stakeholders in an industry, the futures they face are likely to be many and varied”. Although that is the future they also see, after careful analysis, for those corporate and commercial law firms. The description of what we might expect in 2025 is not that different from much of what was going on around us in 2015 or is today, just a bit more amplified perhaps. A dramatic rise of robot lawyers is not envisaged in the way Chrissie Lightfoot imagines the future in ‘Tomorrow’s Naked Lawyer: NewTech, NewHuman, NewLaw – How to be successful, 2015 to 2045 . Artificial Intelligence does feature in the 2025 of Remaking Law Firms – Why & How but as an outsourced commodity. A handy ‘law firm self-assessment tool’ is provided in the book whereby you can score your firm against various benchmarks. This provides you with a starting point for remaking your law firm or focussing your use of the book. Again some of the questions are geared more for corporate and commercial law firms rather than those serving private clients. But there is still I believe an overall relevance and benefit for all law firms in using this tool. Having considered the “Why” the book moves on to look at the “How”. How the entity is governed and managed. These three dimensions need to be addressed if you are to have a successful business model as an enterprise providing legal services. Reference is made to Mitch Kowalski’s “highly readable book” Avoiding Extinction: Reimagining Legal Services for the 21st Century “for a detailed fictitious version of a remade BigLaw firm”. The book looks at Brand, Marketing and Business Development and postures that law “firm brands are becoming increasingly important as services become more commoditized, as law firms diversify, and as partners with strong personal brands become even more mobile, often acting as free agents.” Something I recognised and have pursued with my own law firm since 2011: Inksters New Branding. There is also a very valid view expressed that law firms should consider at least partly separating production from selling legal services by engaging professional sales personnel. Pricing and Fee Arrangements come under scrutiny with the conclusion being that alternative fee arrangements are the way to go and if implemented correctly could be more effective and profitable than the billable hour. This is subject to the caveat that time recording still has a place to track efficiency and improvements. When looking at sourcing and outsourcing I liked the authors’ analogy of sourcing legal services to sourcing dinner. Dining options vary dramatically from home-made to a fine dining restaurant through fast food outlets or takeaways or indeed a packet of crisps (chips in the USA). With regard to technology, the book makes no specific reference to BigLaw being behind the curve compared to NewLaw. It may, however, be implicit. The statement “legal technology specialists on their own are also less likely to foster close collaboration with knowledge management professionals and legal professionals in ways that can generate gains in the quality or efficiency of delivered legal services”, is certainly not my experience. It may, however, reflect what goes on (or doesn’t) in BigLaw firms. Apparently “large law firms have billing and practice management systems that generate large amounts of data, but this data is not necessarily coded in a way that lends itself to analytics for practice improvement”. It is astonishing that this should be the case in 2017 and highlighted in a chapter that also deals with the advance of AI. But this comes back to my earlier point about BigLaw often being behind SmallLaw and NewLaw on the IT curve. Small law firms can and often do have billing and practice management systems that generate large amounts of data (probably not as much data as BigLaw would generate of course) and more likely than not coded in a way that does in fact lend itself to analytics for practice improvement. When I formed Inksters (at that time just me and a PA) in 1999 I installed such a system which has been enhanced and improved on since then as the firm has grown. I wonder if there are BigLaw firms today still struggling with legacy systems that pre-date 1999?! It is concluded that “delivering value from the investment in a firm’s information technology infrastructure necessitates the articulation and implementation of an appropriate operating model”. This often, in effect, simply means the law firm actually learning how to use the systems they have to best advantage and spending time and effort putting the systems properly to work and training staff on how to use them. At Inksters we fast-tracked this process with the appointment of a Legal Process Engineer. It is reaffirmed, if any enlightened lawyer needed it to be, that “partners are change-resistant”. This is expanded upon in an interesting chapter on ‘Partners, Innovation and Change’. We are told that, “in short, lawyers are skeptical people who value individual achievements over group consensus, and dislike change for the uncertainty that it brings, rather than valuing it for the opportunities that it provides”. Indeed, I can testify to countless examples of this that I have witnessed throughout my career as a lawyer and whilst implementing change at Inksters. It should be stressed that in my experience this aversion to change runs deep in most lawyers and not just partners. Clearly, in partnerships it manifests itself at its worst in the inability to actually affect change when the partners are the decision makers and invariably retain the status quo. Perhaps that is why my NewLaw firm, Inksters, has no partners and embraces change (even if some individual lawyers might seek to resist it). We did have a lawyer who joined us for two days but promptly left because they couldn’t cope with the level of the technology we employed! I envy your agility to effect change. We are like an oil tanker when it comes to manoeuvrability. That law firm no longer exists. The Pam Woldow quote in the book that when you don’t have the clients in the room, many lawyers sit with their arms crossed over their chests, huffing away: “Spare me all this process crap. I just want to practice law. Let me just do it my way.” sums things up precisely. Stuart Fuller is quoted as describing partners’ desire to improve their firm: “The word stewardship is not a word all in the industry use. But I think there is an inherent pride amongst partners to leave the firm in a better position than when they came into it”. This I think is looking at things through rose-tinted glasses. The reality is much too often law firm partners thinking of themselves before the firm especially as they edge towards retirement. The end result is often a law firm that will not survive another generation and either folds,, or seeks rescue through merger. The authors do, however, recognise this issue when they acknowledge that an “all profit today” mentality is a hindrance for long-term investments. 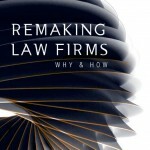 Each chapter of ‘Remaking Law Firms – Why & How’ ends with a conclusion that sums up the findings of that chapter. What are my conclusions of the book? I found it very perceptive in highlighting the problems inherent in big law firms (often there in small- and medium-sized ones too, it should not be forgotten). As a result of identifying those problems, solutions were given on how to potentially remake the problem-ridden firm. The book is about remaking and is very much written from the perspective of a big law firm needing to change to avoid extinction. For those firms it is an essential read. For the smaller more innovative law firm already initiating change or the new law firm starting out with a clean sheet it may reaffirm why they have set off on the course that they have but it may not be the best guide for them. Many of the examples given in the book were of change at BigLaw (including ‘skunkwork’ initiatives that have come out of BigLaw) rather than examples of pure NewLaw initiatives. More perhaps could have been done on that front. Perhaps a companion piece for George and Imme to consider writing would be ‘Making NewLaw Firms – Why & How’. That said, however, I would commend the book as an essential addition to the library of any lawyer intent on changing their law practice for the better and the health of its future. Brian is the founder of Inksters Solicitors. 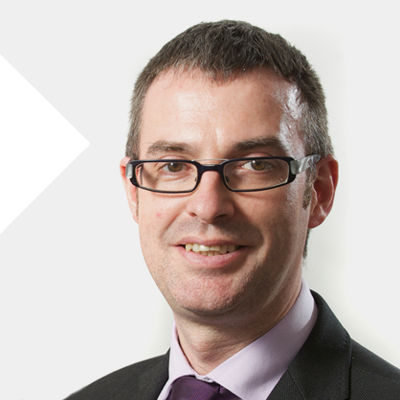 In 2014 he was voted Managing Partner of the Year in the Law Awards of Scotland 2014. One of his specialties is crofting law, a much-favoured example I use to remind us of Ted Levitt’s argument that (almost) anything can be differentiated. In addition to his law practice, Brian is a speaker and fundraiser. Brian’s review of Remaking Law Firms: Why & How was first published The Time Blawg on 10/10/17 and in the Scottish Legal News on 11/10/17.